Walt Disney has touched the lives of both adults and children across generations. The master that he was, he did not only bring to life these characters but defined the principles of animation that all animated films to this day are based upon. Further to this, he grew the animated film sector to the heights that it is today in one of the worlds most competitive markets. Disney has helped teach children about some of the hard life truths while still managing to keep the overall atmosphere uplifting and entertaining. In all that they do, they always manage to find 2 levels of entertainment, to engage with both the younger and the older audiences. 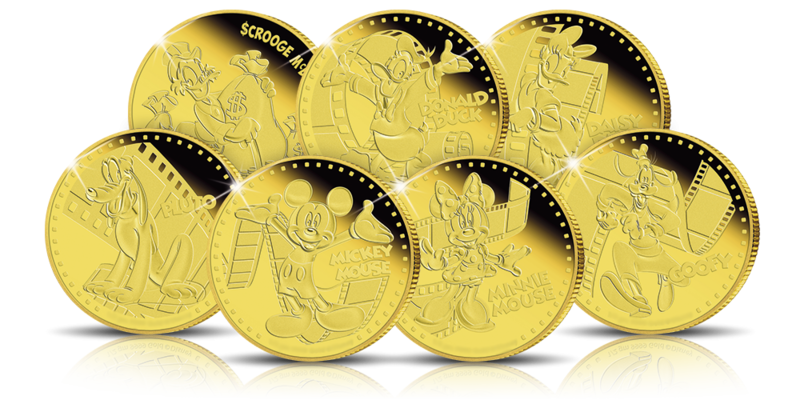 Captivating millions of people for so long is why we are proud to be able to bring the Disney 7 coin gold set to our customers. With just 14 sets available act fast.